TORONTO (Dec. 4) — If I saw it once, I saw it 100 times in emails and Twitter replies: “Yes, the Leafs can keep all of William Nylander, Mitch Marner and Auston Matthews under the salary cap.” Often followed by “you’re a moron” or other–such invective spewed by those hiding anonymously behind a social media handle. It was in response to my blog here on Saturday night; moments after Nylander signed a six–year contract with nearly $7 million of salary–cap consumption beginning next season. As I repeatedly concluded during the negotiating impasse between Nylander and general manager Kyle Dubas, I offered the view that the Maple Leafs cannot retain all three of their draft gems and preserve the roster balance necessary to be a perennial Stanley Cup front–runner. On reflection, however, I saw that I used the wrong word. The Leafs, in fact, “can” do whatever they wish under the salary cap allotment. And, if stockpiling prolific forwards at the cost of defensive acumen is the club’s financial strategy (as it clearly seems), I’m not at all certain the 52–year Cup drought will end. The more appropriate word was “should” — as in the Maple Leafs should ultimately trade Nylander to bolster their blue line and should not stubbornly retain their 2014–16 draft prizes in an effort to out–gun opponents at playoff time. An opinion that I’ll perpetuate… until proven wrong. Neither do I contend the Leafs over–compensated Nylander. They paid for potential rather than existing numbers… common among players moving past entry–level salary restriction. But, do the Leafs need the extra scoring Nylander will provide? Not if you’re watching the same club as me. What the Leafs desperately require is personnel that can make life easier for Frederik Andersen. Even with the gifted triumvirate of Matthews, Marner and John Tavares, the big Dane needs to be spectacular most nights to keep the club in front, or on even terms. 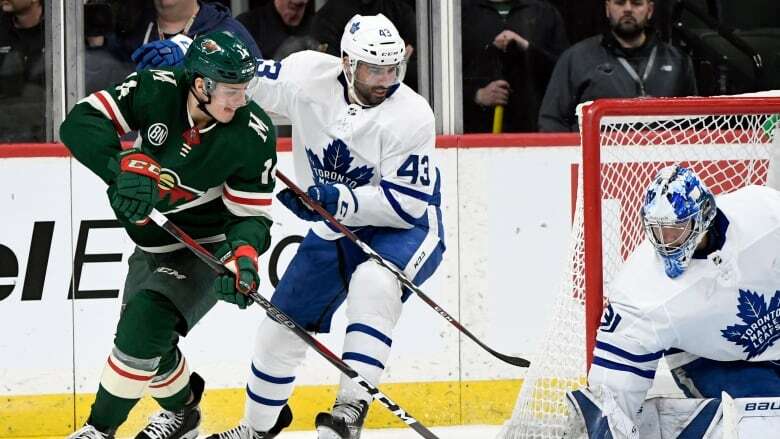 Saturday, at St. Paul, Minn., was a classic example: Andersen’s brilliance in the third period — as the Wild out–shot the Maple Leafs, 18–8 — preserved a 3–3 tie until Nazem Kadri scored a fluky goal with 3:20 left (Zach Hyman added an empty–netter in Toronto’s 5–3 win). In total, Andersen faced 41 Minnesota shots, a recurring theme for the club that allowed the most shots in the National Hockey League last season. 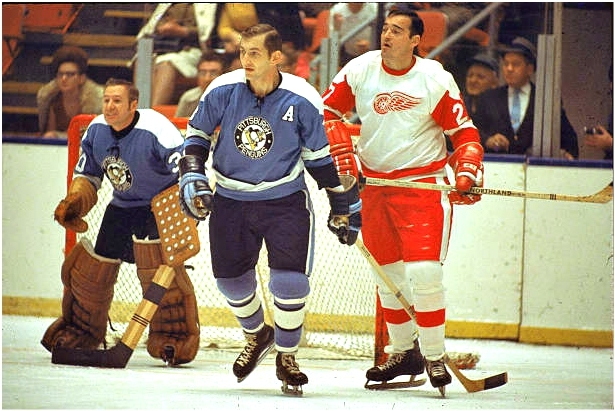 And, essentially, a recurring theme throughout the post–1967 era for the Blue and White. FREDERIK ANDERSEN AND NAZEM KADRI (43) PROVED THE DIFFERENCE FOR THE LEAFS IN MINNESOTA. Evidence, to this point, clearly indicates that Andersen cannot endure more than one round of Stanley Cup competition; let alone the four rounds required for a championship. 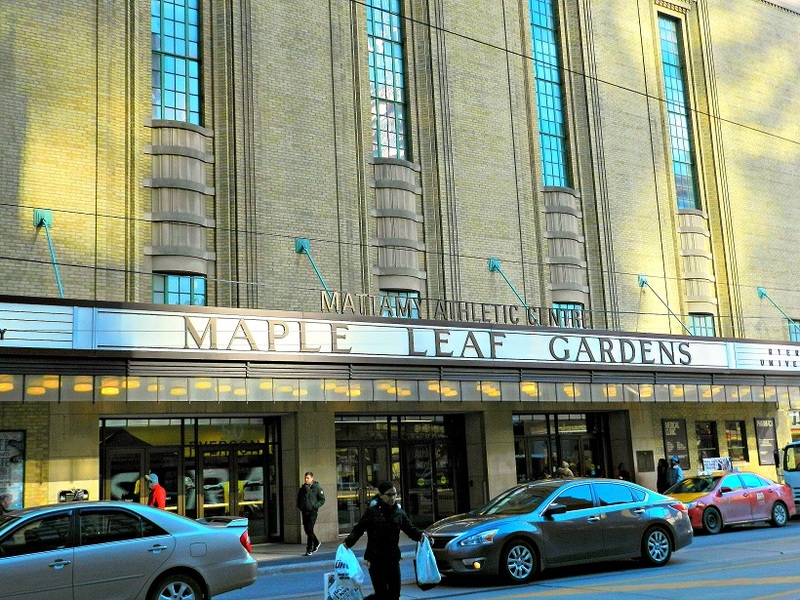 Certainly not behind a run–and–gun team, which the Leafs are, more than ever, this season. Unless Toronto effectively plays keep–away for two months, beginning in the second week of April, the end result isn’t likely to be much different than last spring against Boston, or two years ago against Washington. Any assessment to the contrary is wishful thinking. Mike Babcock is again intent on running Andersen into the ground during the regular season; somehow believing his No. 1 goalie will find reserve energy when it matters most. Babcock’s talented team performs almost identically to the past two years: flamboyant and creative beyond center–ice; loose and inefficient (most nights) defensively. Exactly how Nylander’s presence will alter that pattern is a mystery. Yet, many in the media regard this season as the Leafs’ best opportunity to end the longest current Stanley Cup drought. Before the cap–crunch begins in the summer. And, maybe they’ll be proven correct. After all, few clubs can boast a forward six–pack of Tavares, Matthews, Marner, Nylander, Kadri and Patrick Marleau. These same observers contend there’s a “new way” to win the NHL title — puck possession and a swarming attack replacing the conventional reliance on toughness and order in the defensive zone. It is, however, difficult to envision any club prevailing through four rounds when its goalie enters the playoffs with a quarter–tank of gas. Which will be Andersen’s fuel reserve if he continues to encounter 35 shots a night during 60 to 65 regular–season appearances. So, yeah, the Leafs “can” keep all of their spiffy offensive stars under any salary–cap configuration. But, winning it all with a tired goalie and a lax defensive system is rather ambitious. And, it’s the reason I would elicit any and all overtures for Nylander before the puck drops next October. Jagr (766); Brett Hull (765); Marcel Dionne (731); Phil Esposito (717) and Mike Gartner (708). 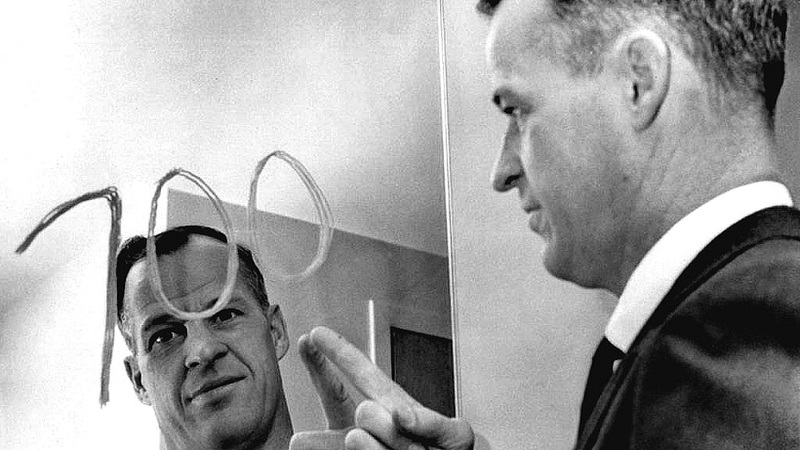 GORDIE HOWE POINTS TO THE NUMBER “700” ON A MIRROR AT CIVIC ARENA 50 YEARS AGO TONIGHT. YES, PEOPLE TODAY EXIT THE GARDENS WITH SHOPPING BAGS, NOT PROGRAMS AND SOUVENIRS. FROM THE ICONIC INTERSECTION OF CHURCH AND CARLTON STREETS. SOUTHEAST SIDE. 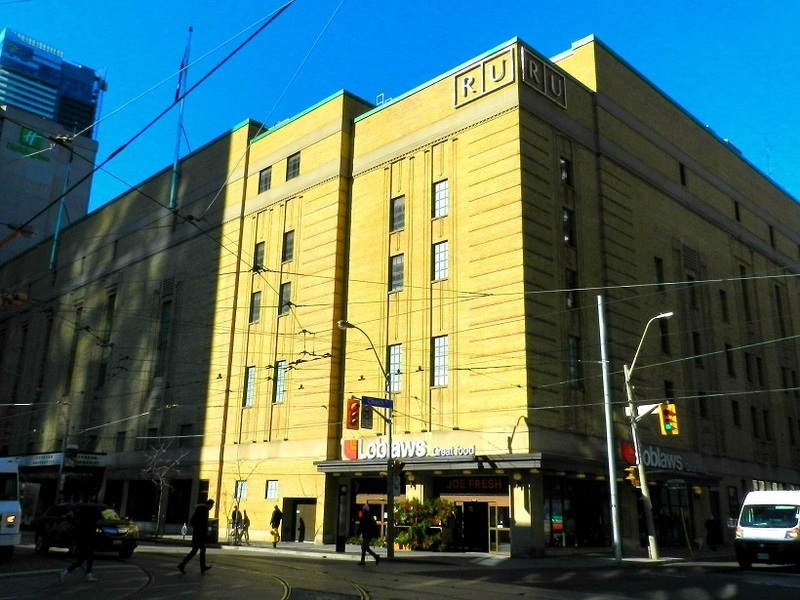 RENOVATION OF THE BUILDING IN THE EARLY–2000’s MAINTAINED THE LEGENDARY SOUTH FACADE ON CARLTON ST., WITH THE DISTINGUISHING CATHEDRAL–LIKE WINDOWS ABOVE HE MARQUEE. 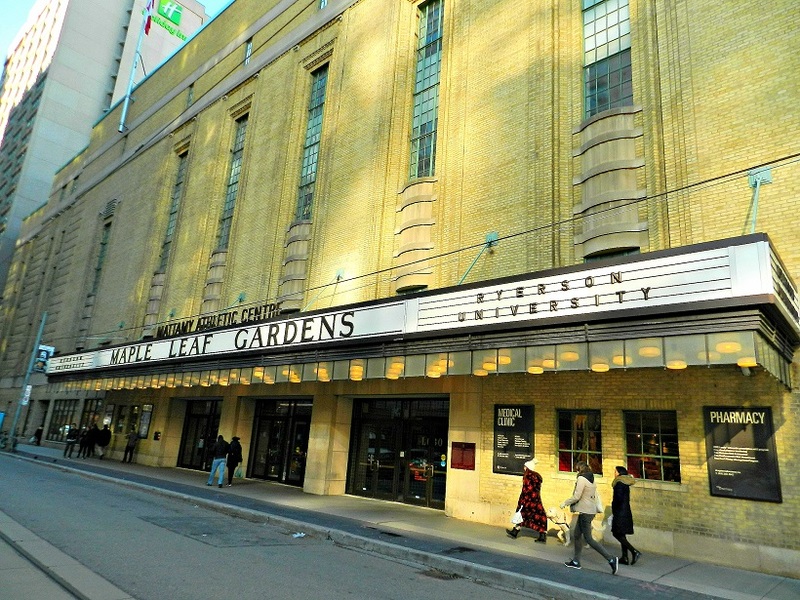 APPROACHING THE GARDENS IN THE 1960’s AND 70’s, THE ARENA SIDE–MARQUEE (RYERSON UNIVERSITY) WOULD SIMPLY STATE THE DAY AND VISITING TEAM. SUCH AS: “SATURDAY BOSTON”. I couldn’t agree with you more, Howard. The Leafs’ run & gun style will not survive against top playoff teams who play a sound defensive game. Sure, it’s fun to watch during the regular season, but playoff hockey is a completely different animal. Our group – as currently constituted – is not built for a long playoff run. Insufficient defensive acumen and grit to get it done. 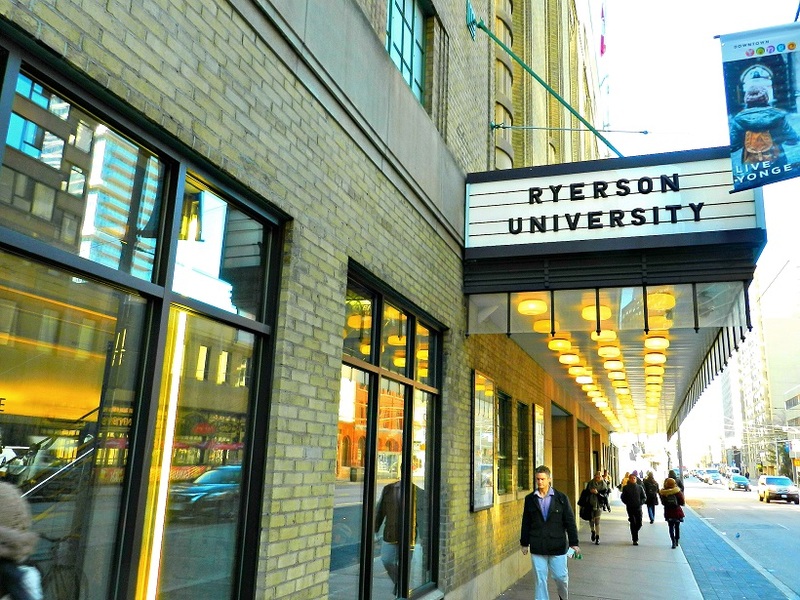 I’m hoping Dubas knows this and does something about it. Those 3 centres tell me they are built for a long playoff run. Nice article Howard but I don’t think today’s NHL needs the type of D that was required in the clutch and grab era..just look at the Penguins 2 years ago and even the Caps last year. If you keep the puck in the opponents end most of the game, that should give you a better chance of maintaining possession longer and more chances than the opposition..having a stellar G-man is certainly key. Funny about the Gardens. I grew up in NFLD and my Dad traveled to Toronto (where he was born) many times for meetings at their Head office on Queens Quay. A few times he took me there and I had the pleasure of watching games in person…quite a memory for a young lad from the Rock. My fondest memory was him taking me in to the Doug Laurie sports shop my first time and he purchased a REAL Leafs jersey which were never seen warn around the streets of NFLD at the time. Yes many watched as I walked down the Road and played road Hockey with my Darryl Sittler Jersey on with the Swiss Stitching and shiny numbers and C on the front. 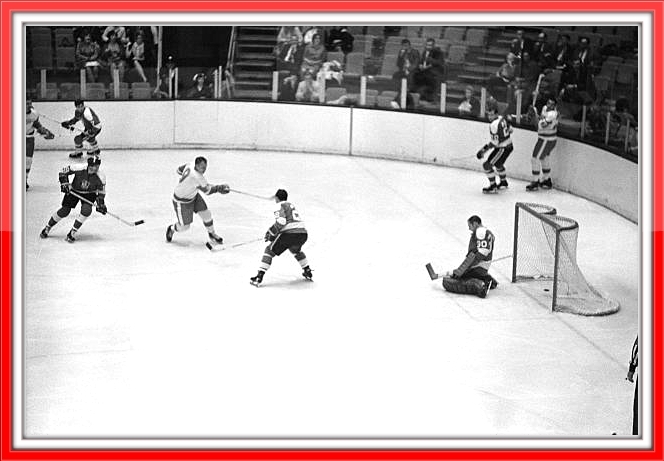 My First game was on a Saturday night and to this day being 56, I remember like yesterday the explosion of lights that would occur just before puck drop. My dad said it was because the Old Barn needed bright lighting for the Cameras (HNIC) while broadcasting games. Anyway. 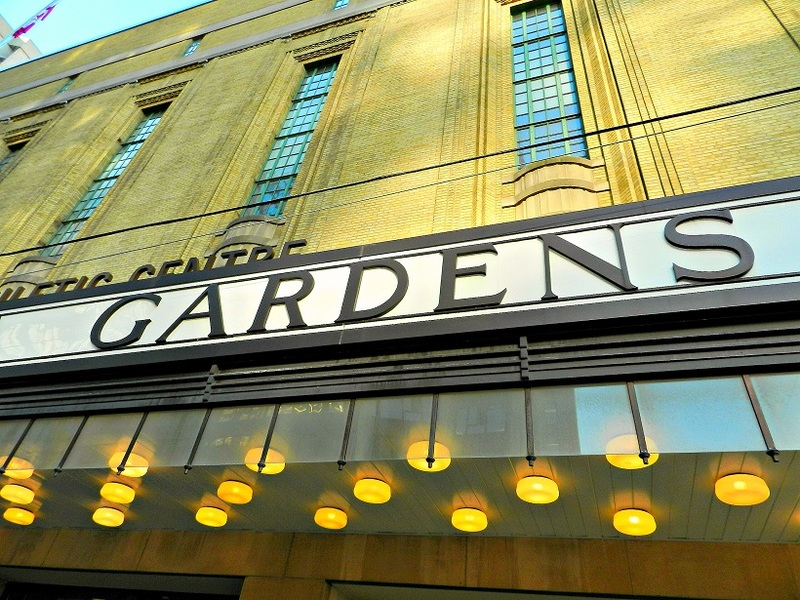 Glad you posted the picture of the Gardens, it sure brought back a good memory. Gardens is still great. And, we’ll see about your defense theory. You aren’t alone, but I’m skeptical. Listening to Kyle Dubas on the weekend and your points here tells me the Leafs will most likely trade a forward–but not Nylander. And I believe that forward will be Nazim Kadri for two reasons based on comments from Dubas. 1)Dubas told Nylander that he wasn’t going anywhere. He is a part of team going forward. If Dubas turns around and trades him, he loses all integrity as a GM. 2)Dubas made a point of saying he is keeping his main nucleus together—Tavares, Matthews, Marner, Nylander, Reilly and Anderson. He never mentioned Kadri in his “nucleus” from what I heard. Also, Kadri has tremendous value contract wise and as a player–he would be, at the very least, a 2nd line center on any other NHL team. I could be wrong–but just throwing that out there. Steve: Dubas is a promising, young GM but he erred making that public claim about Nylander. Situations change with hockey teams all the time. No GM should limit himself in any way beyond a player’s contract clause. No snarl here Howard, always respect your thoughts and trusty Nikon. Oh heck, snarl if you wish. And, thanks.